Rebecca Sommers Cramer requested a video on our Facebook page for the Chainless Foundation. This one’s for you Rebecca…. I have to admit – until I did the videos on the chainless foundation I HATED IT!!! Now I love it!!! I figured out I was doing it all wrong. Learn Chainless Foundation from Me – I promise – You Will Get It!!! If you have been struggling – trying to figure out how to do the chainless foundation for single, half double and double crochet stitches – I have the videos for you!!! and.. Below are the video links. 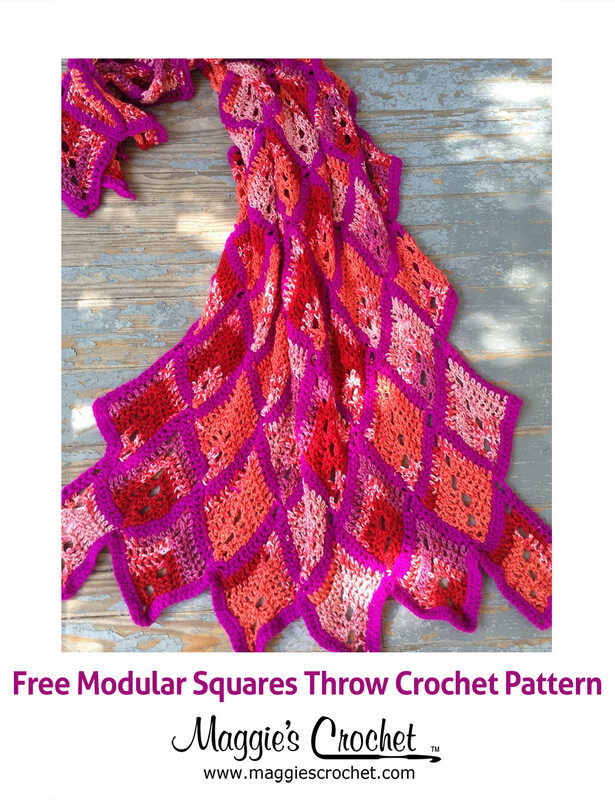 Did you know there is a way to start crocheting a project without making a foundation chain? A project that calls for single crochet stitches uses a method called the Chainless Foundation Single Crochet (FSC) to begin without chaining first. The chainless foundation uses the basic single crochet stitch with a couple of simple changes to convert the stitch into a foundation row. This method is worked in a vertical manner with one extra step, instead of in a horizontal direction. The piece is then turned to work in a horizontal direction once the chainless foundation row is complete. Advantages to using the chainless foundation over the common chain foundation is the the ability to get more stretch in the entire piece, including the foundation row. This is important when crocheting clothing. You may also notice less curling in your project, especially after it is blocked. Chainless foundation single crochet works well when the pattern calls for a long starting chain. Step 1: Chain 2, insert hook under top 2 strands of 2nd ch from hook, draw up a loop, chain 1, yarn over hook and draw through 2 loops on hook. Step 2: Next sc – working in chain underneath the last sc, insert hook under the front loop and the loop right behind it, yarn over, draw up a loop, chain 1, yarn over and draw through 2 loops on hook. Continue step 2 until desired length. 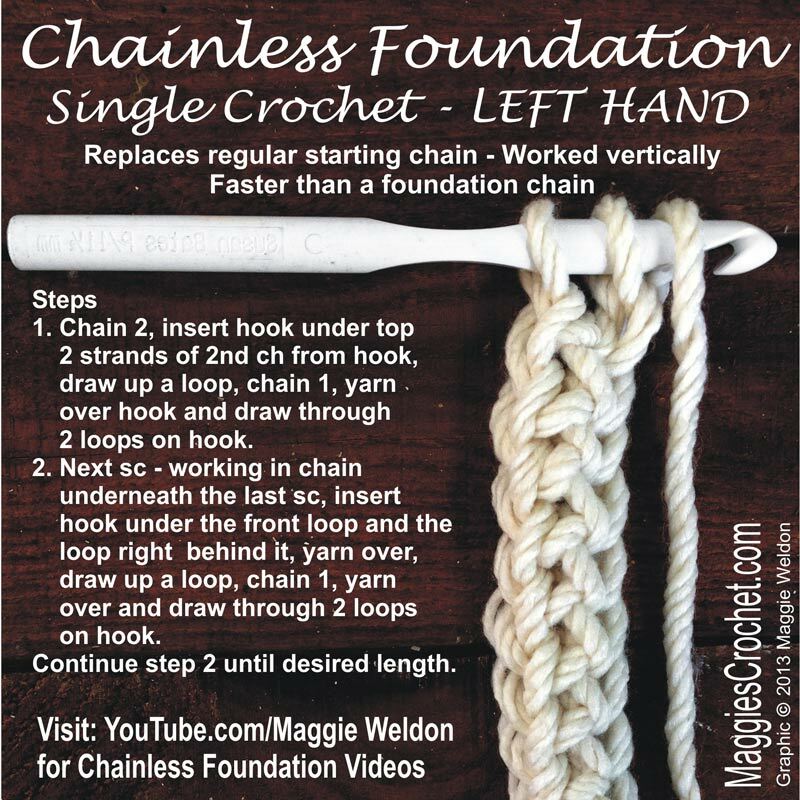 Convert a standard chain foundation pattern to a chainless foundation single crochet stitch by working the same number of chainless stitches as required for the pattern row. 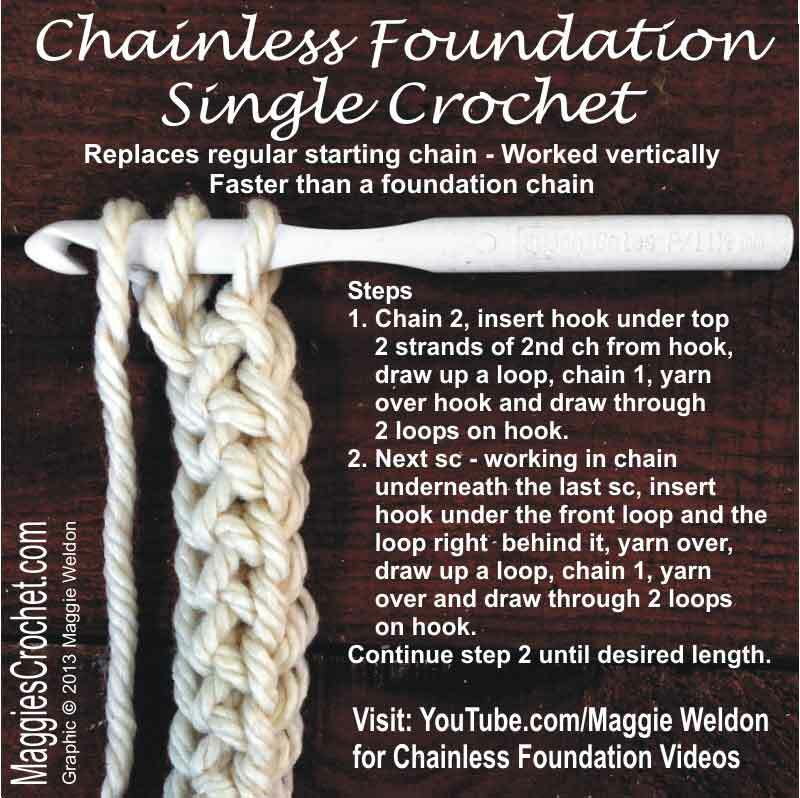 The chain foundation will have built in one turning chain for a single crochet. Subtract one from the total number for the row when making a chainless first row. 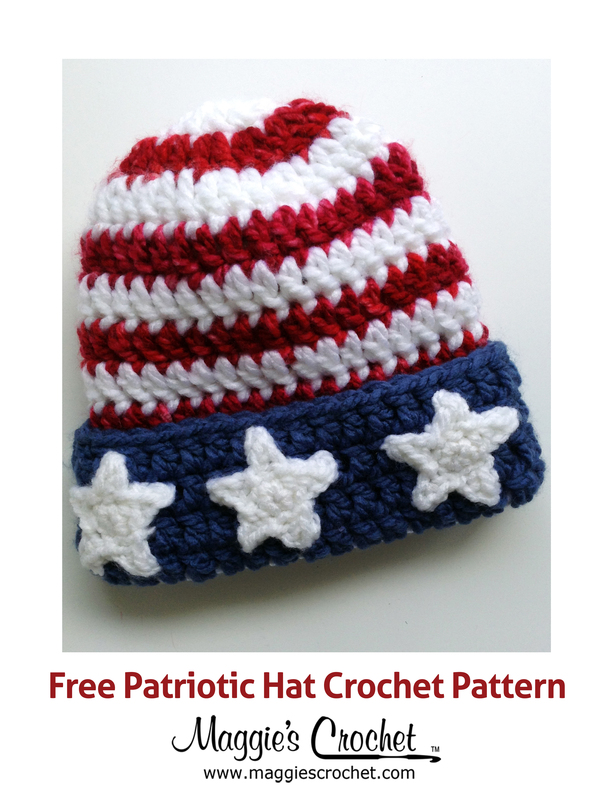 For example, the pattern calls for 21 foundation chain stitches. You would make 20 chainless foundation single crochet stitches. And here’s the left-handed version of this video. I’m left handed, but I was taught right handed crochet. I’ve tried to do it left handed. But anyway this is very neat I will use this from now on. Thank you for sharing. Always wanted to know how to do this.